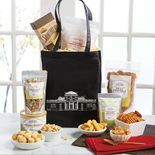 Harvested from Monticello’s historic gardens and orchards! 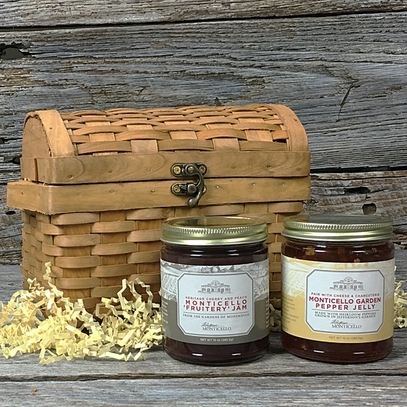 Monticello Orchard Jam is made with cherries and peaches. Monticello Pepper Jelly is made with a combination of spicy and sweet peppers collected from the vegetable garden. Canned locally and artfully arranged in a keepsake basket.